You know that tube between your head and your body? That thin, easily punctured tube? Yeah, guess what happens. Stabbed, flayed, barbecued, any other method to open said tube, wheezing noises optional. Not to be confused with an actual medical tracheotomy note Also called a tracheostomy in some parts of the world . See also Slashed Throat. A good counter to By the Power of Grayskull! In Black Lagoon, Yukio Washimine kills herself by piercing her own throat with a katana while Rock watches helplessly and Revy screams at him to not look at her. In the manga it's shown directly, but in the anime there's a Gory Discretion Shot instead. note This is Truth in Television, incidentally: This was the 'proper' way for a Samurai woman to commit suicide in feudal Japan because it was less painful and it looked more dignified than the male version (self-disembowling), though in reality it was usually done with a dagger instead of a full katana.) Since Yukio is a deconstruction of the Yamato Nadeshiko archetype, it makes sense: she preferred to die rather than facing Balalaika in total dishonor and probably dying anyway. This is how all the murder victims in StrikerS Sound Stage X of the Lyrical Nanoha franchise were killed: Stab wounds to their throats via Psychic-Assisted Suicide. In the Fullmetal Alchemist manga, and hence, Brotherhood, Heinkel pulls this on Kimblee using his fangs. How Rika escapes torture in Higurashi: When They Cry: she kills herself by repeatedly jamming her neck to a fixed-placed knife...which is bigger than her neck is wide. So messy. In episode 3, Yukari Sakuragi trips down some stairs and lands neck-first on the metal tip of her umbrella. It isn't pretty. At the end of episode 6, Mr. Kubodera enters the classroom and brandishes a knife. This trope comes in to play at the beginning of the next episode. It isn't pretty either. In episode 10, during the flashback, Katsumi Matsunaga is shown to have gotten into a fistfight with a classmate. He then pushes the boy to the ground... and accidentally gets him impaled by a tree branch through the throat. Since that boy turns out to be the "extra", by killing him Matsunaga broke the curse for the class of 1983. In episode 12, Aki Matsui is stabbed through the neck from behind by Tomohiko Kazami. For worse, she was fatally stabbed right after her best friend Keiko was stabbed In the Back by Kazami and when she was about to tell Kouichi what was going on. This is how Kenpachi from Bleach kills Berenice from the Stern Ritters. According to him, she wouldn't stop talking so he did it to shut her up. In the manga, Szayel Aporro got an arrow through the neck from Uryuu. In the X/1999 TV series, Hinoto does this to kill both herself and her Dark Self. Since she's crippled/deaf/blind in the real world, she performs it in the Dream Scape instead and her "tracheotomised" body appears on the "real" side. This is how Lycoris from Sorcerer Stabber Orphen Revenge intended to commit suicide so her True Companions and her family wouldn't kill each other over her. Thankfully, Cleao tells Reki to morph Lycoris's blade away and then Esperanza talks her out of it. JoJo's Bizarre Adventure: Vento Aureo: Ghiaccio is defeated when he's shoved onto a sharp point of a damaged pole. It stabs into the back of his neck and he keeps fighting until Golden Experience lands a series of kicks, forcing him onto the spike until it's puncutred all the way through and sticking out of the front of his neck. In Hunter × Hunter, ever the Combat Pragmatist, Genthru crushes Gon's throat to prevent Gon from using his voice-activated book full of voice-activated summoning cards and spells. Gon is still able to muster just enough voice to summon a large boulder to fall on top of Genthru. In ElfQuest, Lord Voll gets a large crossbow arrow through his throat. Cutter, who happens to be right behind him when it exits, is only saved from a similar fate by his gold torc. In The Prayer Warriors, Rachel kills the in-universe representation of Idiosy by stabbing him "in the throat, and then in the balls". A "demon processed" Grover is killed by being stabbed in the throat. Brolli in Diamond in the Rough (Touhou) dies this way, courtesy Tenshi. In Fellowship of the Raven, Yevgeny dispatches Arrigal and Luvash this way with arrows after they manage to sneak up on the party and One-Hit Kill Ivan and Riki, with Yevgeny intentionally choosing this method of death due to how painful it is. In the Jet Li film Kiss of the Dragon, one mook gets stabbed in the throat with a pair of chopsticks by Li. When the serial killer in Eyes of a Stranger drives his car in a beach, it gets stuck in sand. When a guy from nearby comes and offers his help, he gets stabbed on the throat with a switchblade. The Joker in the 1989 film Batman assassinates a mob boss by jamming a quill pen into his throat. It kills the dude a lot faster than it would be expected to, meaning The Joker most likely poisoned the tip. Happens multiple times in the Friday the 13th series; in the first film alone, for example, we see on-screen at least one throat-slitting and a man having an arrow jabbed through his throat from behind. Full Circle opens with the main character trying to save her daughter from choking with a literal one... only to end up killing her. The Godfather has Captain McCluskey's death scene, when Michael shoots him in the throat. It isn't fatal, so there's a few seconds of wheezing from McCluskey before Michael puts a round into his head. In the climactic fight scene of The Island, Dr. Merrick is shot through the throat with a grappling hook normally used by his guards to bring down "products." The hero of Red Eye stabs Cillian Murphy's character in the throat with a pen, though it doesn't stop him for long. Boddicker's death in RoboCop (1987), via middle finger computer interface blade. In the climax of Saving Private Ryan, an American soldier is shot this way. During the ensuing melee, the audience gets what feels like upwards of half a minute of horrible choking sounds. Saw V is a rare example of someone doing this to survive; Peter's head is trapped in a box filled with water, and he jams a pen into his trachea and breathes through it. In Superstition, one "accident" has a circular saw getting off from its hinges and lodging itself on one unfortunate man's throat. In We Were Soldiers, a French bugler gets one courtesy of a Vietnamese bullet while trying to sound retreat. Bonus points for hearing him still exhaling through the hole as the bugling stops. In Road House, Dalton rips out Jimmy's throat out with his bare hands. In Central Intelligence, Dwayne Johnson's character threatens to do this to the Big Bad (as part of his overall obsession with Road House.) He makes good on the threat. MacGruber often brags about his ability to rip out throats, which considering his general incompetence and cowardice comes off as simply another boast. Near the end however, he demonstrates that he can in-fact rip throats out bloodily and messily, to the horror and disgust of his Hypercompetent Sidekick. In Tamara, Allison stabs Patrick in the throat with a screwdriver when he attacks her in the basement. He then pulls the screwdriver out and stares at it blankly as he bleeds out. Red Hill: When Old Bill, Manning and Willy attempt to draw Jimmy into an ambush, Willy is waiting in the dark when he gets an Aboriginal spear through the throat. The Bourne Identity. The trademark of the notorious terrorist Carlos is that he shoots his target in the throat. Bourne is alarmed to discover this fact, as he's already instinctively shot a man this way. In Pact, Blake Thorburn kills his enemy Laird Behaim this way, by forcing a wooden splinter into his throat, small enough that it almost disappears from sight when the end breaks off and the only sign that something's wrong is when Laird collapses and starts to split blood. Both SeaFire and Zero Minus Ten has a moment where James Bond kills a bad guy by throwing a knife into their throats. Warrior Cats: Hawkfrost, the main villain of the second series, dies by way of his older half-brother Brambleclaw driving the stick of a fox trap into his throat. President Hassan in Season 8 of 24. Sharpe: In Sharpe's Rifles, being charged by a mounted French Trooper and not having time to load his rifle properly, Harper opts to discharge his ramrod along with the ball. The ramrod goes straight through the Trooper's throat at exactly the Adam's Apple. It is rather disturbing to watch. On one episode of CSI, it happens with a crossbow bolt. Unbeknownst to his attempted murderer, the man was having a severe allergic reaction at the time and they managed to shoot it just right to save his life... or, rather to extend it by a few minutes since he died a few minutes later of something else, unrelated. The Kill Point: After the bank robbers shoot a female FBI Agent, their Team Medic Mr. Cat performs a tracheotomy on her since her airways are blocked up by blood. Assassin's Creed: Assassins' preferred method for killing? Using the Hidden Blade to stab a man's neck. Ezio takes it further with his rather graphic killing of Checco Orsi, where he pushes the blade into Checco's throat slowly. In the sequel, he can cut multiple throats spinning a spear, and even jump towards an enemy and prick his throat open with a sword. It goes without saying that all of this is pretty awesome. Speaking of stealth kills, Jensen can sneak to an enemy and do this as a melee action in Deus Ex: Human Revolution. Early in Breath of Fire: Dragon Quarter, Bosch (1/64) gives one to Ryu. Things don't go as planed however, as instead of dying it awakens his ability to channel the powers of the dragon Odjn. The character transforms into his One-Winged Angel form and proceeds to slaughter the rest of Bosch's unit, including his commanding officer. Lara Croft can receive an incredibly gruesome one in the 2013 reboot of the Tomb Raider series. Failing to avoid certain obstacles on the river and gondola scenes will lead to Lara being impaled through the throat on the end of a jagged piece of debris. Watching it is made even worse by her gasps and struggling. And the fact you're probably going to see it a lot. Dead or Alive: Dimensions: After a spat with Hayate, Ayane is so depressed over it that she attempts to stab herself in the throat with a kunai, but her mother Ayame arrives at that exact moment, forcing her to stop and put it away. Past about the halfway point of the first future level in Call of Duty: Black Ops II, Erik Breighner takes a bullet through the sides of the throat once he hands the Celerium drive to Section. Telltale's Game of Thrones has it shockingly happen to the playable character, Lord Ethan, at the end of the first episode, courtesy of Ramsay Snow. Made worse in that Ethan is no more than thirteen or fourteen at the time. Pokémon has the move Throat Chop, which deals good damage and prevents the opponent from using sound-based attacks for two turns. Appropriately enough, it's a pretty brutal Dark-type attack. Mortal Kombat X takes this trope and turns it Up to Eleven. One of Liu Kang's Fatalities has him punch through the opponents neck to physically rip their throat out. And to add the cherry on top punches the ripped trachea inside the opponent's mouth. Yikes. The "Faster" enemies in Cry of Fear are young women with their forearms and shins replaced by metallic spikes. They normally use these to stab and slash at you, but their death animation has them impale their own throats with the forearm spikes before keeling over. In Return of the Obra Dinn, as the mermaids are attacking the lifeboats of Edward Nichols and his fellow mutineers in a kidnapping plan gone horribly awry, one of the creatures throws a javelin at Patrick O'Hagan's neck, killing him. Nichols' steward Samuel Galligan, unaware of this, asks the dead O'Hagan if he can still row, but calls his master out for being a Dirty Coward, commanding him to shoot the mermaids "for God's sake!" Meanwhile, one of the Formosan captives, It-Beng Sia, manages to break free of his bindings with the spear that had killed Topman Li Hong before grabbing the knife Alarcus Nikishin had dropped upon getting pulled underwater by a mermaid, and uses it to stab Galligan in the throat, ending his life. Death Battle: In "Lucario vs Renamon", this is how the loser gets killed, courtesy of Lucario jamming an Aura-formed bone (via Bone Rush) through the throat. The janitor in the first chapter of Shadownova is suddenly stabbed in the neck by Cam, even though he was bleeding to death anyway, interrupting his last words to Iris. 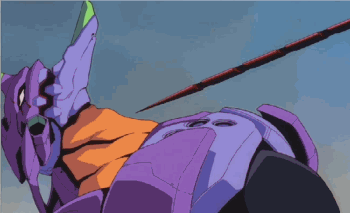 In the machinima Deus ex Machina, a Mook is shot in the neck at one point. We get to hear this horrible gurgling sound for about 20 seconds before Deus shoots him in the face. As one might expect, this has shown up in Survival of the Fittest quite a bit. Examples include Sally Connelly getting stabbed in the throat with a sai, and Nigel Gillespie getting stabbed with a shattered ocarina. In Twig, Sylvester mentions (after getting his throat crushed and then getting an actual amateur tracheotomy) that this apparently happens to him a lot. The first time was just a cut throat, the second involved a dog, and the third something called a "burrower worm." After this his doctors decided to relocate some anatomy so he can talk with a hole in his throat.